Condensed Milk MayonnaiseSo delicious you won't go back to the the bottled stuff! Now this Condensed Milk Mayonnaise isn’t a new recipe – and I’m not sure who or when it came about. It has been made at barbecues for time immortal. In fact, this is how people made their version of Mayonnaise in the olden days as the current version really didn’t exist. Don’t let the fact that there is condensed milk in this recipe put you off (and seriously – condensed milk CAN be used for savoury as you will see). This is probably the most delicious salad dressing there is! It can be used as a salad dressing, in potato salad, pasta salad or even in curried eggs. Mix together the mustard powder and salt. 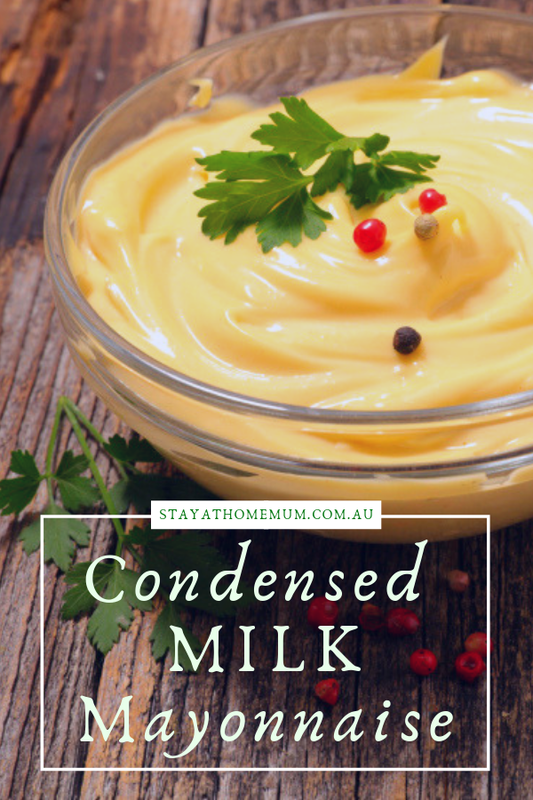 Pour the whole tin of condensed milk into a bowl and stir in the mustard powder and salt mixture. Mix well. Slowly add the white vinegar whilst whisking. Use right away or refrigerate until needed. Condensed Milk Mayonnaise will store well sealed in a jar in the fridge for up to one week.